Sarah Dylan Breuer is a teacher, writer, and speaker who currently serves on the adjunct faculty of MassBay Community College as an instructor in history and psychology. She has an M.Phil. in biblical studies from the University of St. Andrews in Scotland, earned a C.Phil. in early church history from the University of California at Los Angeles (UCLA), and engaged in advanced Anglican studies at the Episcopal Divinity School in Cambridge, Massachusetts. She is author of the forthcoming book The Bible in a Changing World (Church Publishing, Spring 2005), as well as of numerous articles and book chapters across the social sciences, theology, and pop culture. Her writing includes the opening chapter, "God's Justice: A biblical view," in The Justice Project (Baker Books, 2009), and a series on 1 Corinthians, Romans, and Philippians for Book 5 in the Reflections series from Church House Publishing in the U.K. (January, 2009). Her lectionary blog, which offers reflections on biblical readings from the Revised Common Lectionary and the lectionary of The Episcopal Church, was named among "The Best Spiritual Blogs on the Internet" by Beliefnet.com, and her writing has appeared in such publications as The Witness (for which she also served as editor) and The Christian Century. As a longtime U2 fan, she was pleased to contribute six meditations to the book Get Up Off Your Knees: Preaching the U2 Catalog (Cowley Publications, 2003), and she created the first U2charist, which was held in Baltimore, Maryland, on April 17, 2004, hosted by the Without Walls network for authentically Anglican emerging church liturgy. In The Episcopal Church, she currently serves on Executive Council, having been elected by General Convention in 2009. 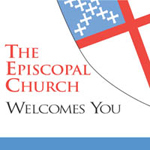 Dylan served on the Special Commission on the Episcopal Church and the Anglican Communion, created to prepare General Convention to respond to the Windsor Report in the 2003 - 2006 triennium; on the New Congregations Team of the 20/20 Task Force in the 2000 - 2003 triennium; and as an adult member of the design team for the "Count Me Faithful" youth event at General Convention in 2003. She has served as editor of The Witness magazine and as president of Gathering the Next Generation (GTNG), the network for "Generation X" Episcopalians, and with John de Beer, she created the adult formation curriculum series Klesis and its "open source" style of distribution, which has led to its being adopted by congregations in nations, languages, and age groups from Maine to Melbourne. In her spare time, she loves playing and writing liturgical and non-liturgical music, cooking, and questing for the perfect cup of coffee.